The Late Henry Moss opens and closes in the one-room New Mexico shack of the eponymous protagonist. But he, alas, can no longer enjoy it, his brown booted feet protruding from behind a screen in the corner declaring him no longer of this world. In the foreground sit his sons, Earl and Ray, working their way through a bottle of Maker’s Mark (though a 1950s whisky originally marketed with the line “It tastes expensive … and is” looks oddly incongruous amidst the set’s squalor). As they discuss the unclear circumstances of their father’s recent death, they skirt around wildly divergent accounts of their childhood too, including the events of one particular night where it is clear their own paths similarly diverged. 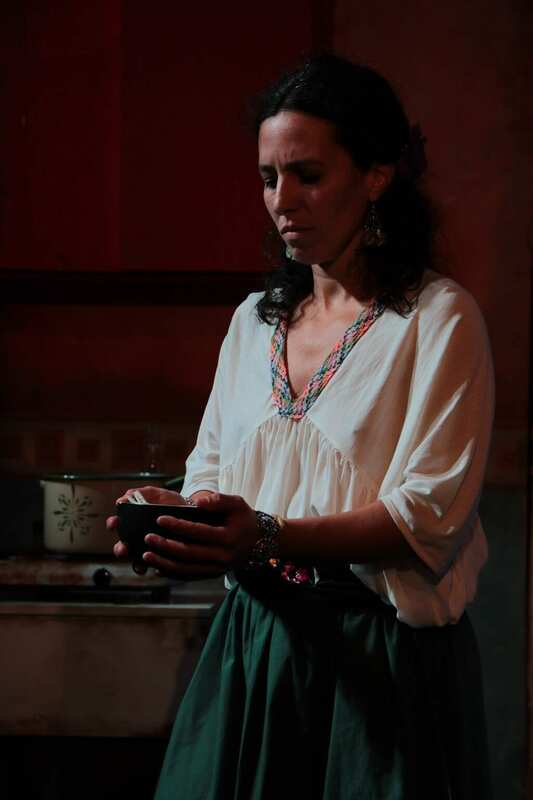 The single scene is set for an exploration of family, memory, guilt and loss. Ray has been summoned home by Earl, who upon coming home himself has found his father dead. Earl was in turn called back by Henry’s neighbour Esteban, who had been worried by “Mr Henry’s” flaunting of a recent GI cheque, the unusual appearance of the “Taxi-man” and the impromptu fishing trip it catalysed, and the lingering presence of a local female force of nature, Conchalla. Ray, suspicious of this tale, his brother, and apparently everyone and everything else, digs deeper, and unsurprisingly discovers that Earl’s tale does not quite add up. Through a series of flashbacks, we slowly uncover the wonderfully bizarre circumstances of Henry’s demise, and in Ray and Earl’s increasingly violent conversations, the truth about the family’s traumatic past. The cast is excellent. 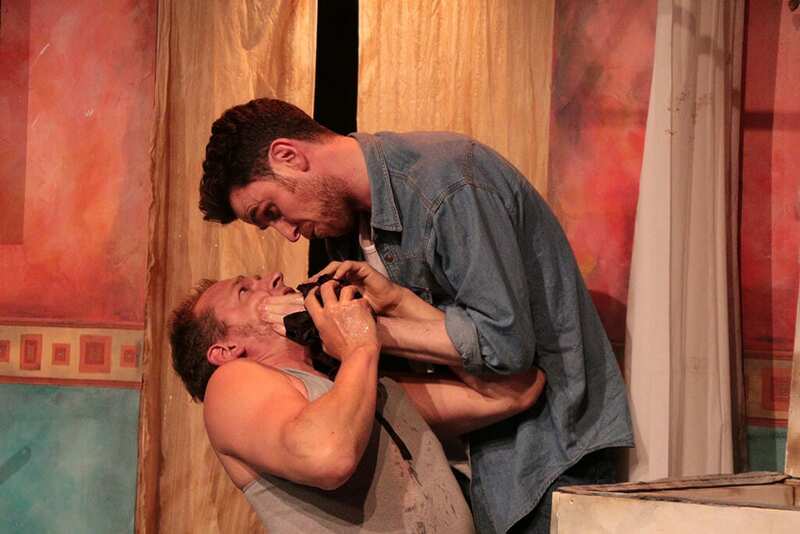 Confined to Cecilia Carey’s claustrophobic set, Ray (Joseph Arkley) and Earl (Jack Sandle) alternatively throw their weight around, taking turns as the dominant and brutish brother. Chris Jared provides an excellent counterpoint as the put-upon, Esteban, emerging intermittently from his trailer with triumphant offerings of soup and brief reminiscences about his own life with Henry. Harry Ditson, as Henry Moss himself, steals the show, a bundle of alcohol-soaked hilarity and pathos staggering from side to side across the stage before finally collapsing, expired, in that corner of the stage where we first glimpsed his upturned boots. The director, Mel Hillyard, is also to be commended for the simplicity of direction – there are few gimmicks here, an increasing rarity in a world of directors unwilling to remove themselves from centre-stage. If there is a criticism, it is simply the choice of play. 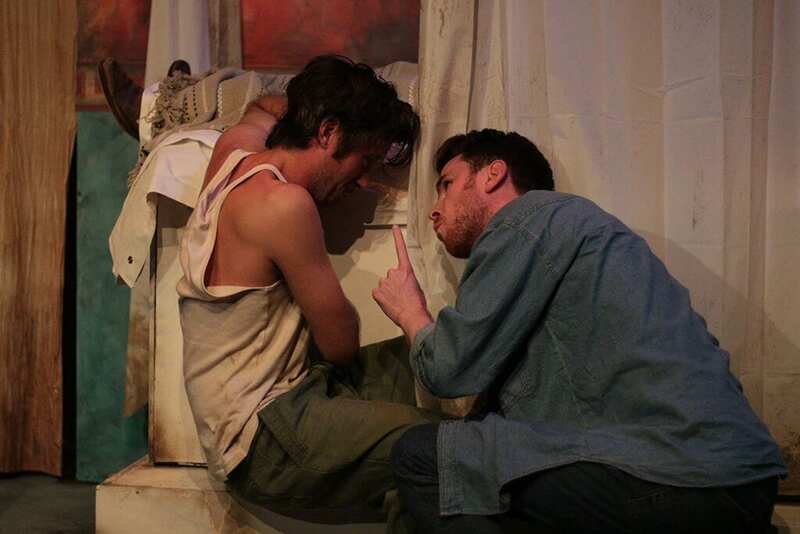 From its passive aggressive opening salvo between the brothers, father’s corpse larger than life in the corner, the play moves towards an entirely predictable conclusion in the unearthing of that corpse’s long-dead partner. A play set up as a murder mystery needs rather more mystery. And the most interesting dynamics – the odd bond between the drunk and his soup-obsessed neighbour, or the alternatively desperate and self-protective outbursts of a taxi-driver dreaming of a Texan upbringing and an Oklahoman retirement – are frustratingly under-explored. 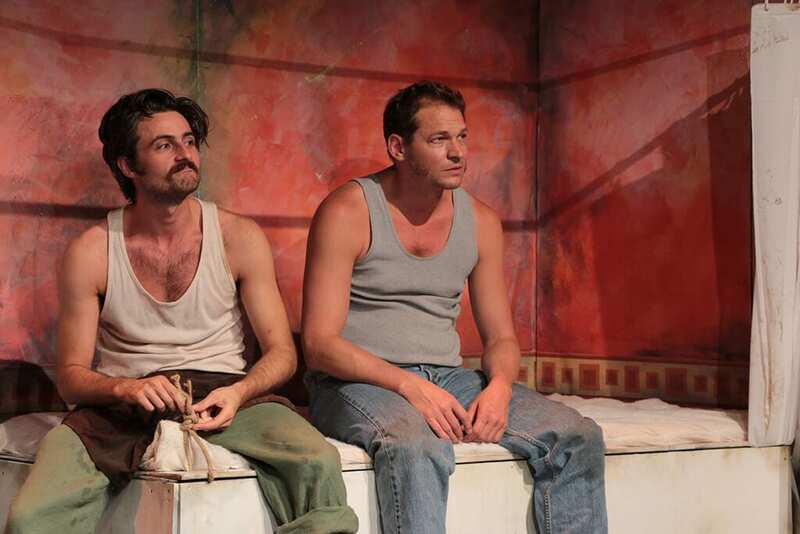 There is much in this dust-bowl drama that Mel Hillyard and the Southwark Playhouse might justifiably think consider of ongoing significance. But I am not sure that it is urgent viewing. 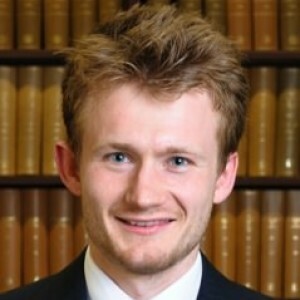 James Corke-Webster is a lecturer in the Classics and Ancient History department at the University of Durham. He works on the relationship between historical and literary writing under the Roman Empire and has particular interests in violence and authority, the ancient novel, and early Christian writings. He has worked for Plays To See since 2010.